Batch processing, combined with new tools and presets, promise to make your pictures sizzle. Aurora HDR 2017, an update to Macphun’s nearly year-old HDR app, is dedicated to making your photos sizzle with light and color. 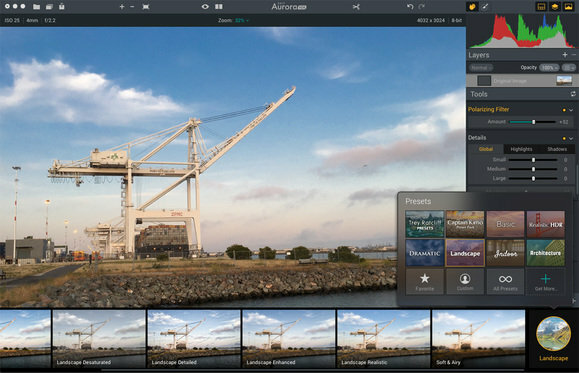 Part of that is the influence of photographer Trey Ratcliff, who partnered with the software company to develop the app, including his signature line of presets within the software. Another part is the realization that photos—particularly landscapes and cityscapes, nature, and other scenic compositions—often fail to measure up to the scene most people remember seeing in real time. HDR can work toward realigning memory with reality, especially if the photographer has the foresight to bracket multiple shots with different exposures with the intention of combining them later. Though Aurora can also work with single shots. The new version of Aurora has tackled some major areas of improvement. 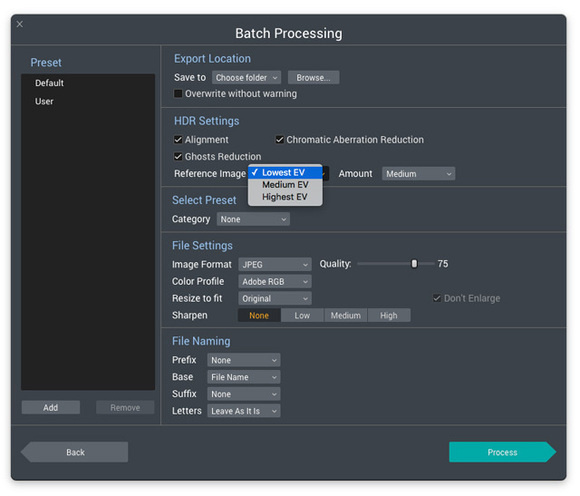 A new batch processing feature lets you drag a folder of images into the interface, choose some settings, and output a single image that is more than the sum of its components. 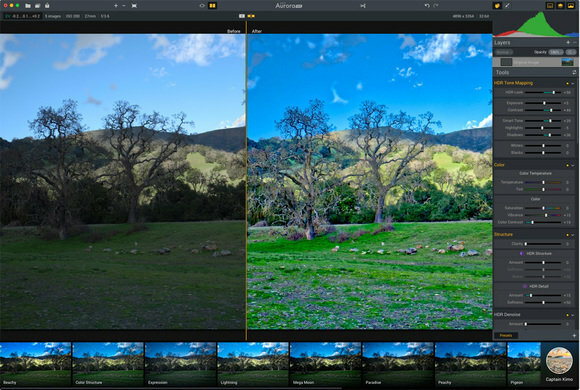 Additional tools include a new Polarize filter and Radial Masking tool, brand new presets contributed by Ratcliff and other artists, and revamped tone mapping and bracket merging for more realistic or fantastical-looking photos. The app also includes enhanced noise reduction, gradient masking tool, an image resize and sharpen on export feature, faster raw conversion, and improved DNG support. Here’s a brief peek at how the software works, based on a pre-release version. You can apply an HDR effect to a single photo with Aurora, but the real fun is to bring in multiple bracketed images. I experimented with up to nine images at one time on my MacBook Air, and it took less than two minutes for the app to combine them into one image. You can dictate which image you want to be the main one. After gathering your images into the app, you can set photo merge parameters and other controls. The app features automatic bracket recognition, sub­folder support and Batch presets. Take control of those sliders and pump up your image. 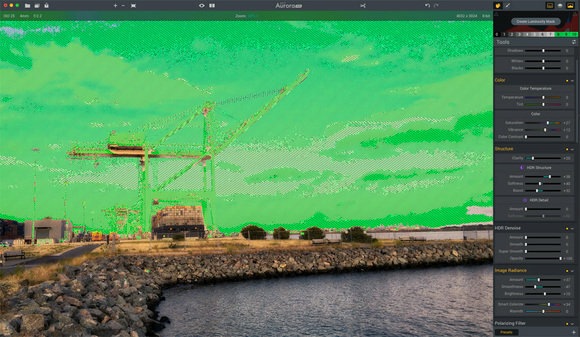 The new version of Aurora adds an arsenal of new tools and an improved tone mapping engine to achieve that effervescent HDR look. But it’s not all glamour. 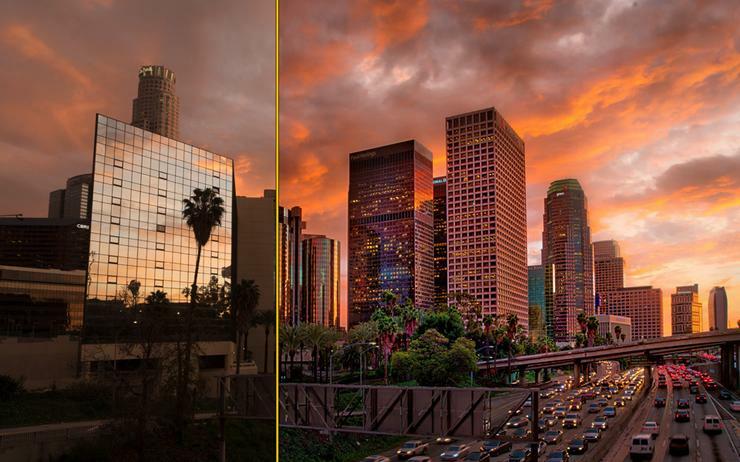 The HDR Look’s slider cuts both ways: Use it to make your image look more realistic or more fantastical. 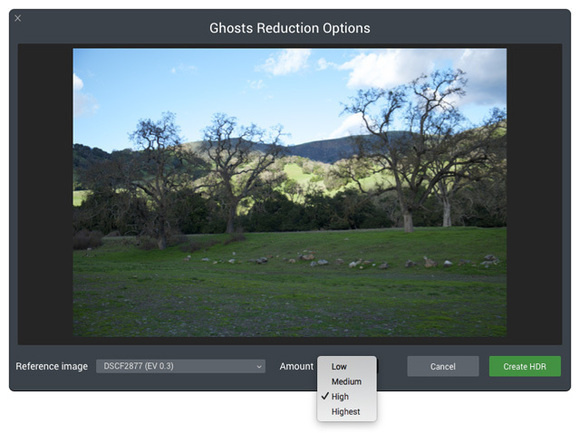 The Smart Tone slider adjusts exposure while automatically protecting highlights and shadows. New Top and Bottom adjustment controls can be applied separately. The new Polarizing filter enhances blues and cuts through haze, while an enhanced top and bottom lighting tool lets you adjust contrast, vibrance, and warmth in different parts of the picture. The Polarizing filter enhances blues and cuts through haze. The new zone-based Luminosity Mask Tool isolates specific ranges of the scene based on brightness values so you can apply a variety of hard-to-accomplish edits with precision. What would an update be without more presets? Trey Ratcliff has cooked up some more crazy stuff and there is additional preset madness from Aurora’s other signature designers. Aurora HDR 2017 features more than 70 HDR presets, including new ones from Trey Ratcliff, Serge Ramelli, and Captain Kimo. 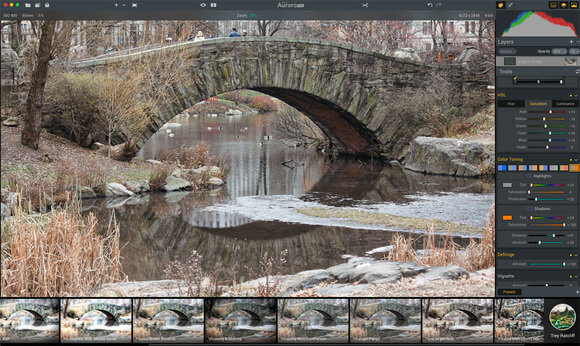 While you could probably spend the rest of your life tweaking your images just so with Aurora’s new and improved manual controls, most users will likely start with one of the built-in preset styles to dispatch their photos in a jiffy. The beta app took less than two minutes to process multiple images into one HDR image and otherwise performed well. 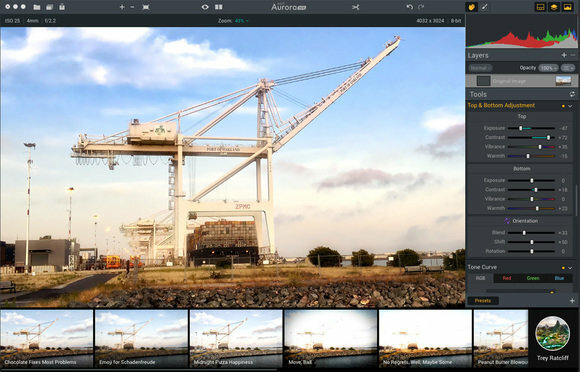 Aurora HDR 2017 is available for pre­order on the app’s website for $99 and will go live on September 29. Special pre-order prices are $49 for current users of Aurora HDR Pro and $69 for those who own the standard version. New customers can pre­order Aurora HDR 2017 for $89. The app works with OS X 10.9.5 (Mavericks) or higher.